After 'murdering' the rhythm on the ‘Eye Red’ tune with Strongman, Rocky Gee is out with another sensational track titled ‘Gyina Yie’. This indicates that Rocky and his team are poised for action as we are in a new year. 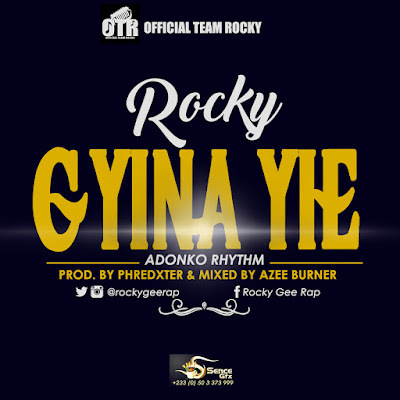 'Gyina Yie' was produced by Phredxter….and mixed by Azee Burner. It looks as if Rocky’s line of delivery is a sign of caution to other rappers…what do you think?